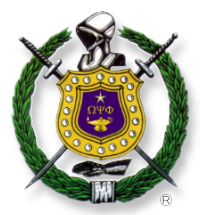 Thank you for visiting the webpage of the Pi Omega Chapter - home of the Charm City Ques. I, along with the brothers of this chapter, welcome you. We are a serving chapter focused on uplifting our community. We hold an annual health fair - The Staying Alive Health Festival - at our Fraternity center. We partner with corporate, government and community organizations to provide free health screenings and services for men and women. The Omega Baltimore Foundation provides safe haven for our children to learn, recreate and grow. We provide an environment where Baltimore youth are mentored, tutored, fed and given an example of positive and successful African American men. Through the Pi Omega Foundation, we provide an annual scholarship to a deserving student slated to attend a Historically Black College or University.